Khree UFO 2 Pod System Kit is inspired of UFO. With its unique disc-shaped and gorgeous color design, the UFO 2 Pod Kit must be impressed to you. It equips with two 2ml refillable pods. You can enjoy 2 flavors/2 nicotine strengths in 1 kit. 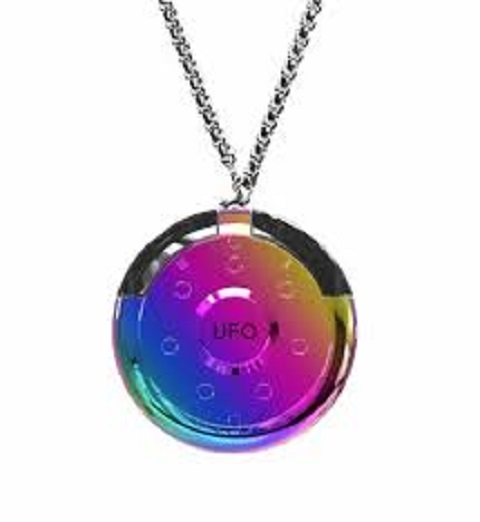 First of all the UFO 2 Pod System Kit is inspired by the UFO from Khree. Because of its unique disc-shaped and gorgeous color design,this is a must have Pod in your collection. Furthermore the battery has a power of 600mAh and is a built-in battery. Another factor is that the Khree UFO equips two 2ml refillable pods. Because of that, you can enjoy two different flavors at the same time. It can also be two different nicotine strengths as well. All this you can enjoy in one single kit without changing pods. The air switch design offers easy operation. The kit also includes a fashionable lanyard which can hang it on the neck. Finally, the Khree UFO 2 utilizes magnetic connector for easy installing.